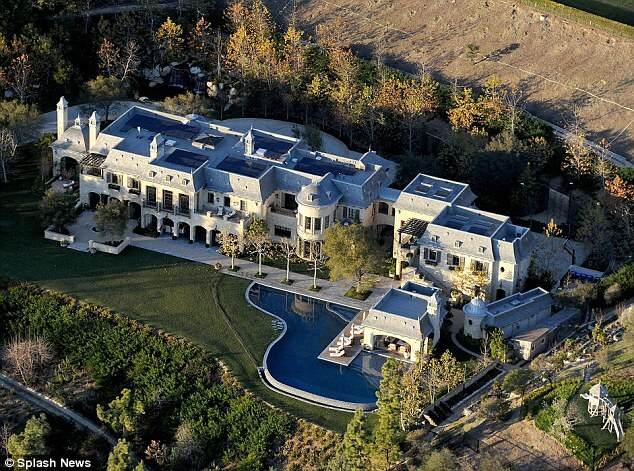 Dr Dre’s new 18,000 square foot estate. We created the Celebrity Move Tracker to share our interest in the real estate of the rich and famous. We’ll be periodically updating the tracker to include information on recent moves so it can be a resource for celebrity watchers everywhere. At My Guys Moving & Storage, we help people move in and out of homes of all sizes—sometimes, really big ones. We’ve moved sports celebrities, movie producers, radio deejays, politicians, and even the set for the Miss Virginia Pageant. But, when it comes to supermassive homes, celebrities are in a league of their own. Last year, Dr. Dre moved from a huge 9,696 square foot home worth $35 million to a colossal 18,000 square foot home worth $40 million in the Sunset Strip. To put it in perspective, that is 7 times larger and 133 times more expensive than the average American’s home. Like everyone, we’re interested in musicians, actors, and artists for their work. But, as one of the best Northern Virginia moving companies, we take a special interest in celebrities’ housing arrangements. We love finding out who’s coming into the area, who’s leaving, and who’s here to stay. Check back every month to see the arrivals and departures of Hollywood’s most elite!